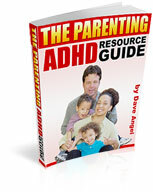 Welcome to the April 2012 edition of “The Parenting Asperger’s Newsletter”. 1. Facebook – FREE Stuff! You probably saw my email yesterday telling you that I’m pretty regular on Facebook now. And I’m going to give out some free articles (from the paid membership site www.parentingaspergerscommunity.com) on there today and every day next week (Monday to Friday). So just go to http://www.facebook.com/Aspergerschildren “Like” the page and look out for my updates on new articles this coming week. 2. Hot Topic of Discussion – Asperger’s Syndrome and Infancy. For many years, Autism and Asperger’s Syndrome have been considered late-blooming developmental conditions. As the numbers of cases rise at astonishing rates, some research shows that Autism Spectrum Disorders are often noticeable as early as the newborn period. Growing up with Asperger’s Syndrome can be difficult. Without the proper support, not only during early childhood, but also during the middle school and high school years, life can be a constant struggle. Finding the right support for each individual can make a huge difference. Special programs, therapies, and career counseling are just a few examples of support for the transition into adulthood. Roger Meyer was diagnosed with Asperger’s Syndrome at the age of 55. Roger writes to spread awareness of Asperger’s, and to help other adults find answers to questions and situations that plague the Asperger’s mind. Roger Meyer is the ‘how-to’ guru for living with Asperger’s Syndrome. You will find direct links about the author and his writings (and his website) below. The next edition of the newsletter is due in May 2012. How can I help my child with Asperger’s deal with family problems? All families have problems. Family members have to work together to overcome many everyday obstacles. Problems can result from emotional issues, financial problems, or merely personality conflicts. Families dealing with Asperger’s Syndrome know this better than most. Children with Asperger’s Syndrome sometimes appear to be non-caring and aloof when it comes to family problems. They may show more concern for the disruption of their routine than they show for the troubling family issue that may be the cause. Children with Asperger’s Syndrome sometimes lack the social language skills needed to show appropriate responses. Even though the outward appearance is off, rest assured that your child is aware of the problems and is affected by them. Most children with Asperger’s Syndrome are extremely intelligent in spite of their weaknesses. There is a variety of common responses you may see from your child in times of trouble. He may be an emotional mess, crying over every little thing. He may be angry or overly aggressive. He may become very anxious or extremely depressed, isolating himself from other family members. Your goal is to get an appropriate response from your child for your personal situation. Here are some suggestions that may be helpful. Help your child develop strong coping skills. Basic coping skills are centered on how we think, what we feel, and when we self-protect. Some children will try to ignore certain painful feelings which can lead to serious problems later. Children can learn coping skills from watching others or by using actual written exercises. You can find resources on the Internet. Have pre-set strategies for every family member to use during intense situations. Sometimes it is more effective to tell our children what emotional response we expect. Learn Cognitive Behavioral Therapy (CBT) techniques to prepare your child for trying times. This therapy is highly effective for children with Autism in so many different situations and skill sets. You can see a behavioral therapist or find published resources for use at home. There are many books aropund that can give you guidance in the area of family unity when living with Autism. Top Ten Tips: A Survival Guide for Families with Children on the Autism Spectrum by Teresa Cardon, Ph.D., CCC-SLP is a good example of this type of resource. The pressure that Autism adds to family relationships can feel insurmountable. It is good to know that others have lived through the tumultuous times and found ways to share their success stories. Welcome to the March 2012 edition of “The Parenting Asperger’s Newsletter”. One thing that parents can forget is that we are the person that our child thinks of as an example of what life is to be like. Therefore if we tend to be stressed out a lot, it can have a negative effect on our child. Another idea how we (the parents) affect our children is by our overall attitude, if we are generally unhappy and angry people; that can lead our child to thinking that is how all people behave. This is why it is important as a parent for us to make a conscience choice to be positive role models for our children. This stands true for neurotypical children as well as children with Asperger’s. This week’s blog post features some excellent information from a recent interview I did with Caroline McGraw. Caroline works for L’Arche Community in Washington D.C. which is a community based organization that works with people with special needs. She is also the older sibling of an adult with a diagnosis of High Functioning Autism. So she has a wealth of knowledge on a number of topics. I recently interviewed her on the topic of challenging behaviors. And in today’s blog post I am going to share with you what she told me about Behavioral Support Plans. OK well first up Behavioral Support Plans are described by Caroline as a “life saver”! Basically they are a way of empowering parents and other care givers to respond consistently to a particular challenging or difficult behavior; in order to modify that behavior. Which in more laymen’s terms means that you respond a certain and set way every time that your child carries out a certain undesirable behavior (in an attempt to change that behavior). So one challenge for Caroline’s own parents with her brother; was that he used to get up and run around the house in the middle of the night making a lot of noise. He was doing this to get attention and in the early stages it worked for him! That’s because Caroline’s parents acted in the way that most loving and devoted parents would. They got up to him, calmed him down, and helped settle him back down for the night. The problem was that this was simply reinforcing his behavior. He got up and made noise because he wanted to get attention. And that was exactly what he got from his parents. So Caroline’s parents soon realized this and developed their own informal Behavioral Support Plan. This was that in future when he got up and made noise in the night; they would respond differently. They would simply ignore the noise and stay in their own room. And after a while this approach began to work and lessened the amount of times that Caroline’s brother would be up making noise in the middle of the night. This is informal behavioral support planning in its simple and effective form. You just identify the behavior that is a challenge; then find a simple response to it that does not reinforce the behavior. Then stick with that response consistently over time, and this will help to modify the behavior. It is worth noting that the difficult behavior may have a short spike in intensity and frequency for a little while when the new approach is in place. This is because the child involved is not getting the reaction he/she desires – and so is trying to “crank it up a notch” to get the response he/she wants. One key distinction is that different people in your child’s life need to maintain the consistent approach to really make this work. So for example if your child was using particularly offensive words and you made a plan to ignore them when he says them. If he then goes to church and says the word and gets a hugely emotional reaction from one of the church members (which is the reaction he WANTS) then this will make it more difficult to modify his behavior. So everyone needs to be on board. Another thing to think about is getting an outside person (e.g. counselor, psychologist, case worker etc.) to be a part of the planning process. As often they can add an extra, and different, viewpoint to you. And finally it is important to monitor and review such plans to see how they are progressing. This could be as simple as noting how many times in a day your child tries to use particularly offensive language, how people reacted and how he then responded to this. I was a loner growing up, the one no one wanted around. I struggled to relate to other people my age. I was always considered by my peers to be weird. I knew I was different but I never knew why. All I knew was that most the times I had the opportunity to connect with people and develop friendships, I’d mess it up. Then I’d hate myself for it. School was pure hell for me. I was teased and harassed no matter what I did. Even the smallest expression on my face would get questioned and criticised. I couldn’t be myself. I’d walk around school trying to be invisible, trying to cover up my true feelings. And that itself was a strain on me. My class mates would throw balls of paper at me, the girl behind me would pull my hair or hit my head, a guy would hold out his foot in front of me to trip me as I walked past. In the passage on my way to the next class I’d be confronted with taunts like “retard” or “stupid”. Rumours about me spread like fire around the school. I noticed that no one else I knew at school was scorned as much as I was. So I began to see that there must be something wrong with me. I desperately searched for ways I could earn respect from everyone. I behaved well in class and worked hard, which made me the teacher’s pet most my school years. I thought that if I couldn’t get respect from my peers I could at least earn the teacher’s favour, which would hopefully get me some protection from my enemies. I tried displaying my talents to give the other pupils a reason to like me. I sang in all the school talent shows, tried getting my Drama plays shown in assembly, and tried getting the best marks in class. With some people it worked. One guy even fell in love with my voice. But for most of my peers it made no difference. I’d still have to face the same public humiliation day after day. I tried my best to make friends. I would put all my time and effort into a friendship, only to watch it go to waste. I tried to please everyone with the hope that someone would take a liking to me. Once or twice I even resorted to buying people things or giving them home made crunchies. There were two popular girls whose personalities I liked, and they seemed to get along with me. One day they agreed to let me hang with them at break. The trouble was that I had no clue how to socialise or what to talk about. I tagged along as they walked over to a big group of guys sitting on the grass. As soon as the guys saw me coming, they got up and walked away. I felt like a dagger had just stabbed whatever confidence I had left in me. When I was in grade 9, my group of friends I’d been sitting with each day at break suddenly decided to abandon me. They dispersed in two’s. When I tried to follow them they told me I wasn’t welcome around them anymore. There were many times I had to sit alone at break. When I had just finished grade 11, I was hit with a huge knock to my system. My psychologist and a psychiatrist diagnosed me with Aspergers Syndrome. I felt shocked, like I had been run over by a bus. But it was a defining moment for me which turned my life around. I was also relieved. I finally knew why I had been a social outcast all my life, and why I struggled more than others to make friends. Aspergers is a mild form of autism. It’s a neurological, developmental disorder in the brain which changes a person’s whole perception of life. The main symptom is difficulty in socialising, and understanding what behaviour is appropriate for different situations. Usually people with the syndrome are intellectually superior to people their age, but they lag behind emotionally and physically. My new found knowledge made it easier for me to endure the humiliation I experienced at school. I now understood that my problems in society were not caused by a lack of character, and I stopped judging myself all the time. Once I understood myself, I learnt to accept myself and not care about what other people thought of me. I stopped my endless efforts to please people. Instead of living my life in fear with my head hung low, I began to hold my head high and make myself heard. I plucked up the courage to confront my bully. I made up my mind that I would show him I wasn’t going to accept his abuse. So when the usual “retard!” came my way the next day, I rebuked him. “Take a hike!” I said. Later I decided to tell him about the syndrome, with the hope that he would leave me alone. One day I saw him in the library alone and I took the chance. “Listen, I’ve been diagnosed with Aspergers Syndrome. So if you think I’m weird, that’s the reason. Please just leave me alone.” He was amazed. He didn’t only leave me alone, but he actually defended me after that. He told me later that he felt privileged that I had trusted him with confidential information, and he would even die for me. I was shocked at how he had a total change of heart towards me. After I left school I realised that I was better off not being one of the popular ones at school. Most of them gave in to peer pressure to please the crowd, and did things that would cause them harm later on. Many of them in school simply lived for their friends and their ego, without thinking of their future. But I lived for my future: a life where I could live the way I wanted and find belonging in my fields of interest. I decided that I would rather have two or three close friends, who totally accept me and understand me, rather than having loads of people around me, who will abandon me at a moment’s notice. If people do not like me for who I am, I would be wasting my time with them. If I try to be what I am not, I will stumble for the rest of my life. I’ve learnt to embrace the things that make me different, instead of obsessing over them. Even if everyone else sees me as an outcast, I will choose to be different from the rest. I have come to understand how important it is to appreciate the things that make people different, whether it is a disability, race, gender, class etc. I try my best not to discriminate against people for any reason, because I know how it could scar them for life. Don’t be afraid to express your individuality, no matter what anyone else says. If you always follow the crowd, you will end up hiding who you really are inside.